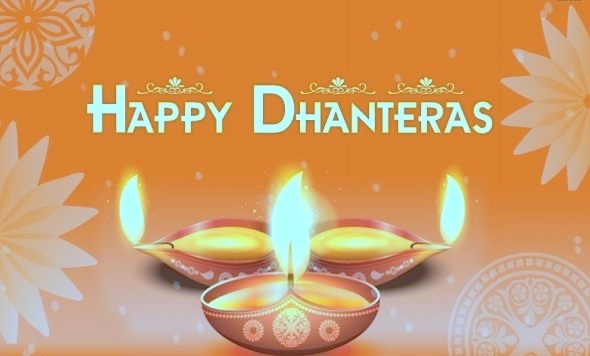 Say Happy Dhanteras to your friends, family and your dear ones with our best collection of Happy Dhanteras Sms 2018. Dhanteras, which falls on the auspicious thirteenth lunar day of Krishna Paksha in the Hindu month of Ashwin, marks the beginning of the Diwali festivities. Dhanteras is also known as "Dhantrayodashi" or "Dhanwantari Triodasi". Goddess Lakshmi is the main diety who is worshipped on this day to provide prosperity and well being. 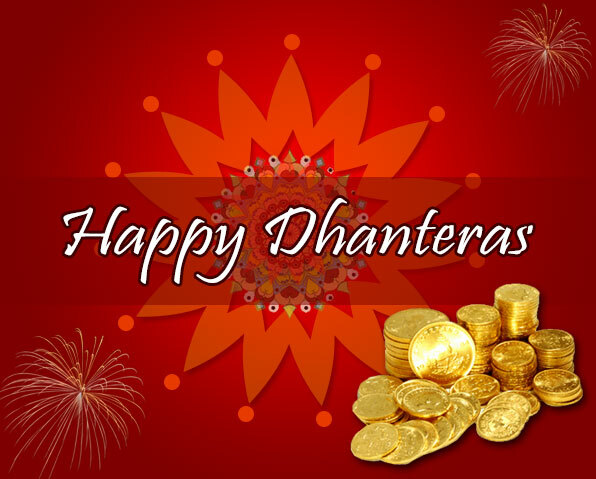 Dhanteras holds special significance for the business community, due to customary purchases of precious metals on this day. People indulge in purchasing gold and utensils, as purchasing them, on Dhanteras, is believed to bring in good luck and prosperity. SMS, today, has become one of the most popular mediums of wishing each other. 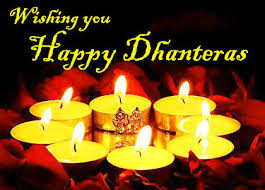 We assist you with a short list of dhanteras messages that will surely help you lighten up the faces of your loved ones on Dhanteras. 3. Dinodin badhta jaye apka karobar, pariwar me bana rahe sneh aur pyar, hoti rahe sada apar dhanki bochar, aisa ho apka DHANTERAS ka tyohar. 5. Laxmi devi ka nur aapke upar barse,har koi apse loan lene ko tarse,Bhagvan aapko de THELE bhar bhar ke paise, ki aap chiller pane ko tarse. 6. Phool khilen, kaliya khilen kaliyon se jooli bhar lena dhan teras ke subh avsir par zara hamko bhi yaad kar lena……! 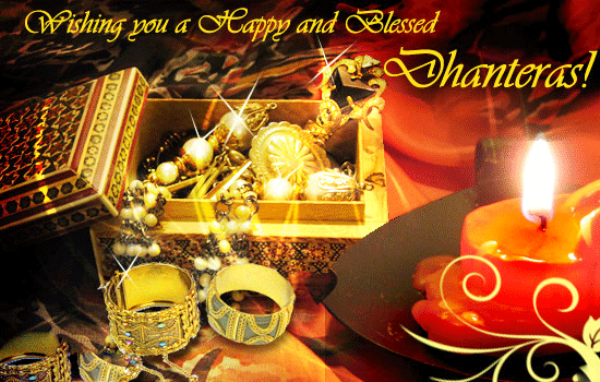 May this Dhanters end all strife.